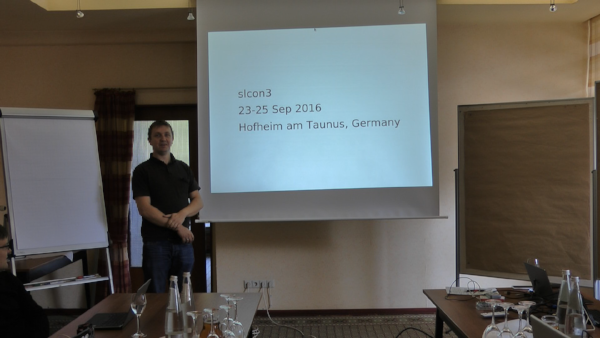 slcon 2016 was held in Hofheim am Taunus near Frankfurt am Main on 2016-09-(23-25). (19:30) Gathering in the "Waldgeist"
We gathered together in and checked out the Waldgeist restaurant that was within walking distance of the hotel. The quality of algorithms usually increases with their complexity. 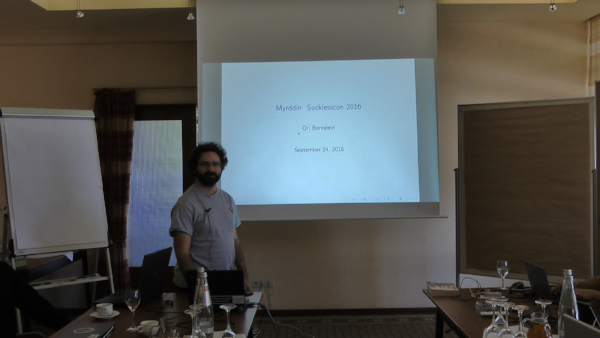 Can we, despite that, compete with GNU MP and other libraries and still provide suckless solution? 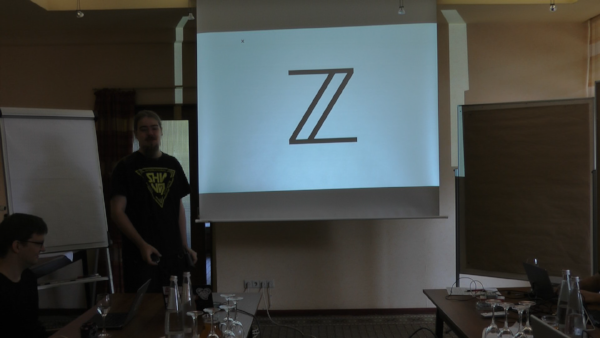 This talk discussed libzahl's design and future. XML is a horrendously abused file format that severely suffers from over-engineering. However, there is an arguably legitimate use case for a subset of it: Text markup. This talk gave reasons for that and showed how to deal with XML in these circumstances. 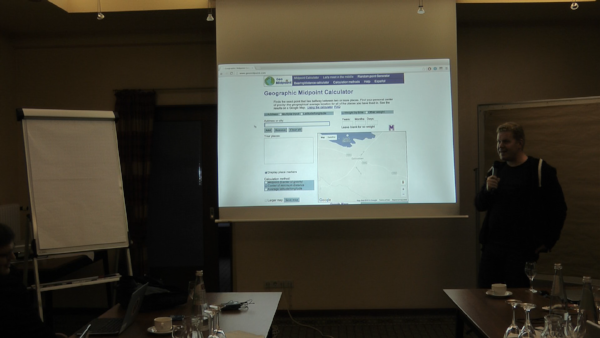 The presenter, forced to work with XML every day, first gave an overview of different XML parsing strategies and presented a few decent libraries for this purpose. To allow comparison, he benchmarked the most sensible XML libraries and discussed alternative parsing approaches as well as their implementation. 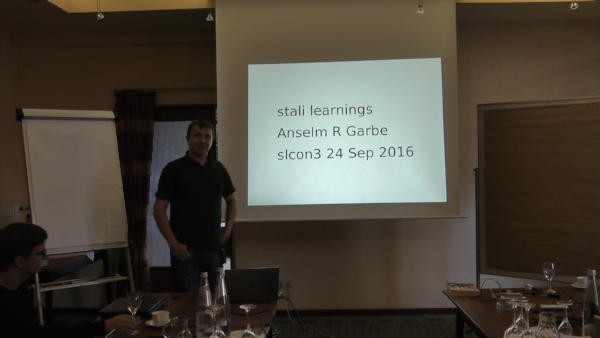 This talk gave a report on readying stali for the Raspberry Pi B+ (32 bit) and is also a story about monsters and maiden, as it compared the stali approach to other codebases (kernels, distros, etc.) and their build systems, evaluating portability concerns encountered along the way on a scale from "depraved" over "naive" to "not too bad". 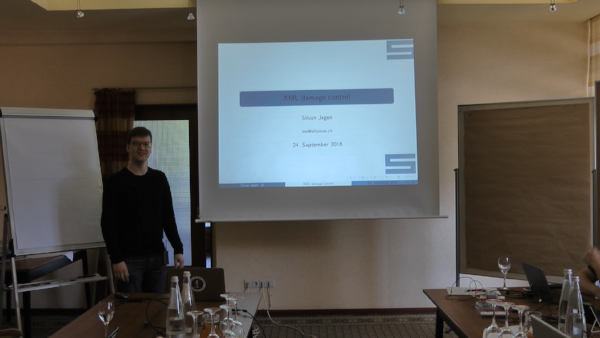 This talk discussed the future role of color management in computing in light of recent developments and gave a future perspective on necessary changes to the handling of image formats like farbfeld. 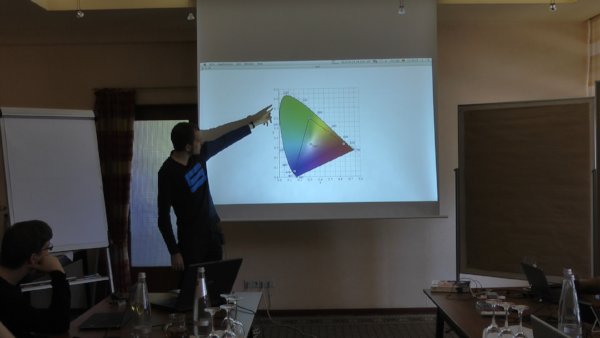 Are you already affected by the limitations of sRGB? You can find out by looking at the saturated RGB triplets below. The one on the right shows the saturated reds, greens and blues of sRGB, the one on the left shows the saturated reds, greens and blues of your monitor. If you only see continuous lines it means that you're not working within a color managed environment (e.g. using Firefox with colord and xiccd), or your screen is really old. For decades we have been witnessing a dramatic increase in compiler complexity. Popular compilers have become huge C++ programs trying to incorporate every aspect of state-of-the-art research. 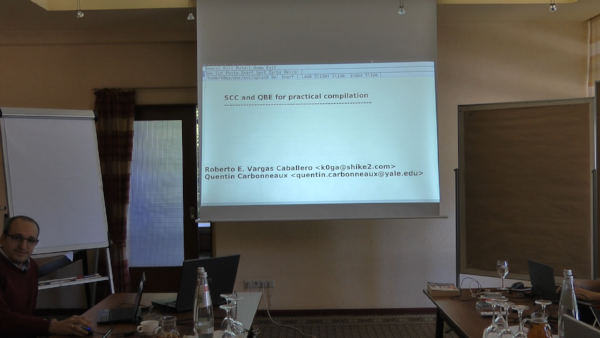 This talk proposed scc and qbe as a new approach to compilation, where simplicity and predictability are the primary objective over reckless efficiency and optimization. It presented the security benefits resulting from this alternative design approach, that is also advocated by the "boring crypto" movement, and demonstrated how it allows easier bootstrapping of new systems. This talk presented the Myrddin programming language that was written in the interest of a saner and easier to use programming environment the presenter, inventor of the language, deems more pleasant than C. The presenter elaborated on its position between C and the ML programming language by design using concepts like parametric polymorphism, type inference, closures and pattern matching, concluding that it can be thought of as a suckless Rust. 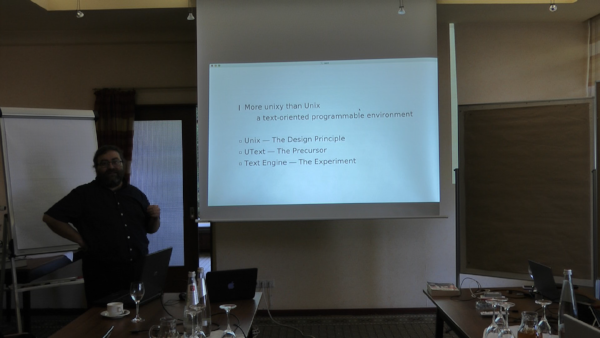 In this context, examples were presented using a replacement for many standard libraries on a number of popular (and less popular) platforms. 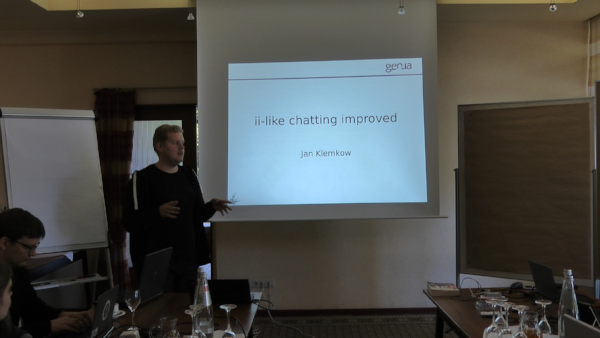 Since the last conference, the presenter had made several improvements in his ii-like chat infrastructure and in this talk gave an overview of his various activities in this area, presenting new features of his UCSPI tools, a new modular frontend lchat and the idea of runit integration. The right approach to software systems was introduced by the Unix programming environment over forty years ago with a file system that opened access to data across all applications and with a universal interface model based on strings. This talk claimed that this approach should be deepened by defining "text" as the semantic data structure that results from parsing strings, theorizing a software system with a "text engine" at its kernel and discussing improvements it can bring to modern data processing and user experience. This talk picked up the conception of an image being an array of numbers and deduced that C is well suited for image processing algorithms, given arrays of numbers are natively representable in it. It also elaborated on and exemplified how many complex image processing algorithms are pipelines of simple, independent steps, making the Unix programming environment an ideal platform for image processing with several simple programs written in C sharing information through pipes. In this context, the problem of selecting a proper file format for pipe interchange is discussed and claimed that the farbfeld image format is not suitable for this task and general image processing. 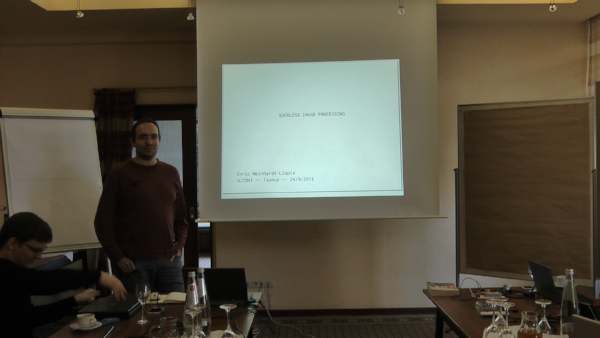 This talk explored farbfeld as a basis for general purpose image processing based on the idea of cooperative image processing tools, presenting a shared memory interface that speeds up the usage of these tools. Based on this foundation, the architecture of a Photoshop-like image editor is presented with the proof of concept implementation shmff and benchmarks supporting this idea. This talk presented the experience gained with stali since the last slcon, discussing new goals and why self-bootstrappability is a bad idea in particular. 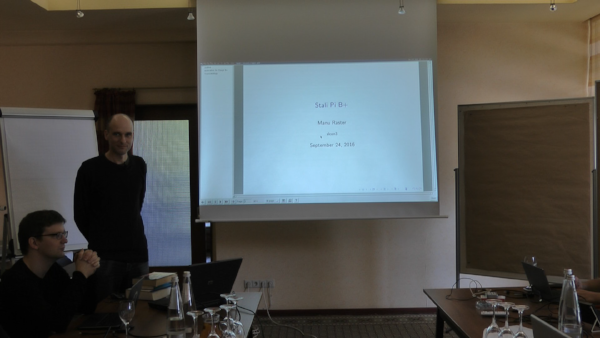 As a proof of concept, the presenter demonstrated stali as a platform for observing his beehives. 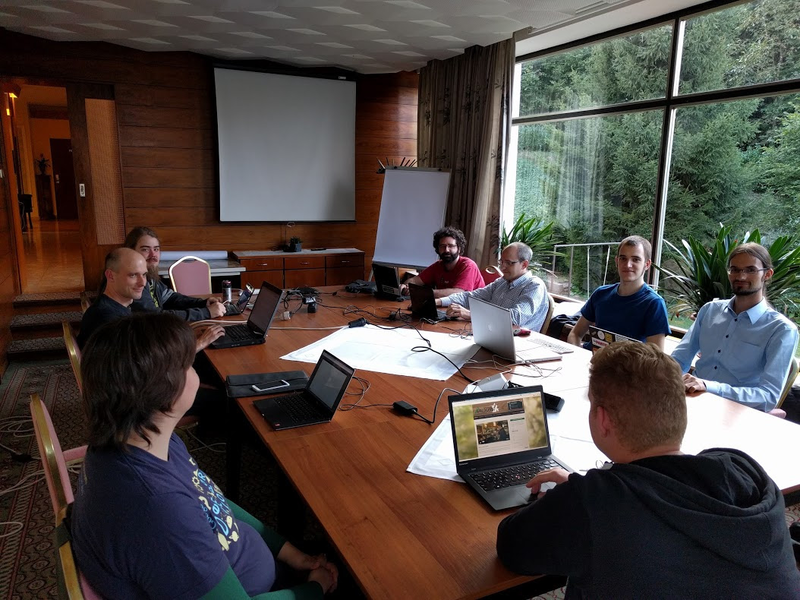 The yearly general assembly consisted of the report of the chairs, Anselm R Garbe and Laslo Hunhold, the report of the treasurer, Jan Klemkow, and the discussion of topics raised by members. We kindly thank for lending us the equipment to record the slcon 2016 conference videos.